I hope it is to let us make unconverted pets again!!!! I miss my UCs! Good grief I wonder if they know what they're doing. ... I don't quite get it. Are they asking us if we prefer our Aishas standing or not? Are they asking us if we want to bring unconverteds back? I'm not sure what they're asking for here, so I'm not sure how to vote. I'm think I'm going to send a ticket and ask for clarification. Maybe for the new game legend and letters? Can you IMAGINE if it was something as dumb as which image to use in their game. I don't know what to think. Will this have something to do with customization/UC's? Or is this for a design in Legends and Letters or something stupid like that? WE NEED CONTEXT. THEY SAID THEY WOULD NEVER BRING BACK UNCONVERTED PETS!!!!!!!!! Are they converting all aishas in a new bipedal pose? Is this a new UC Paintbrush style? Will we be able to customize the new style? What am i voting for??? Didn't it say "paintbrush" in the poll? Cannot see how that would have anything to do with Legends and Letters. THEY SAID SECRET NEOPIAN NEWS! SECRET!!!!! WHAT WOULD THAT MEAN!?!?!?!? IS THIS JUST FOR AISHAS?!?!?! WHY AM I STILL SCREAMING?!?!?!?!?!?!?!?!?! WHY!!! ARE!!! THEY!!! DOING!!! THIS!!! TO!!! US!!! I wrote it in my comments as I voted it'd be nice to know context. If option 2 wins, does the new pose put us in a Vandagyre situation and all old clothing can't be used? Will it be like Baby or Maraquan and be incompatible with everything? Leave the quadrupedal Neopets alone!!! I think it's probably what Snake man said, just a Legends and Letters thing. That or a revamp of the royal Aisha clothes? I'm not giving up hope on UCs coming back though! I also believe is legends a letters related given how odd the customisable neopet looks around the game characters BUT bonju's comment actually worries me..
"An error occurred while submitting, please refresh and try again!" That's what I get while trying to submit my vote and comments. They make so much money on NC, I don't see customization going anywhere. They'll figure that out. HYPE! But actually, my hype train is going off the rails. I don't see why UC's would be coming back we need to move the site forward not backwards. We need more people using the site they need to make some modern day changes quick or this site will die with flash. I swear, if they really are bringing in an option for users to unconvert their pets... it's gonna' be hype! Even if it isn't that, it's certainly curious. Looking forward to seeing what this brings. There is nothing I want more than for UCs to be brought back into circulation. The value disparity between them and converteds is unreasonable. Would NOT mind at all if they brought back UCs as an option for current pets. 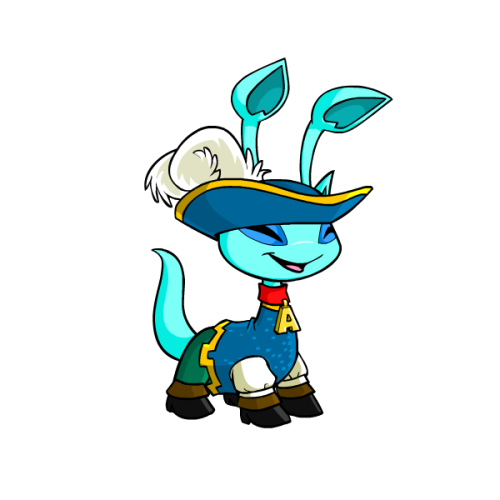 Still thinkin my very first Shoyru would look great in the UC version of her current Faerie color... Won't get my hopes up, but nice to dream. @bob_smith, I had the same issue. I shortened my comment, and it finally took it. I highly doubt they're bringing back UC's. TNT is probably gauging support for special models for customizable pets like we have for baby, mutant, and maraquan pets right now. If they are planning on changing the models for royal pets it's going to be a rather large undertaking since it involves redrawing a LOT of art and it likely won't be for a long while. I noticed that my tab says "Neopets - Pick the Next Paintbrush"
Maybe this could be a new paint brush color? @ssiev Nah, looks like they just recycled the same page/script they used last year to have us vote between Toy/Origami/Steampunk/Burlap. Probably just an oversight that the title says that. Does anyone know when flash is going to be gone? I'll also joke about it here than on the site. No NT this week. Too many editorial questions. Jade won't be able to go through them on Friday to get the editorial out in time. @tycooncorb: agree, neopets would have done an amazing move if they just converted all pets and leave UCs like a nice memory. I think it's time for them to update customisation to cut down the number from 55 pets to less body types. Maybe this is something along those lines, where a new aisha body type will be made going forward and the old one is less supported by new html 5 clothing. I agree with @maple_snow, leave quadrupedal Neopets alone! Please! @ummy: I can see that failing horribly given the lack of staff and the huge amount of clothing that will be left in the waiting list. Why you teasin' us TNT? I added to my comment that I would LOVE the option to choose between poses whenever painting a pet. ^If it’s created on a 3D... or better yet... VR server company that already exists and has technology to add a new world to its library like any of it’s other worlds... Then yes! I WANNA BE IN NEOPIA!!! I WANT TO VISIT MY HOME PLANET!!! They've been saying they're working on a new customization program to replace the Flash version. They may be playing around with the idea of restoring the UC version of certain pets, or at least the Royal pets, since that is a fairly frequently requested change. If they do make that change only to pets with an UC version, like the Royal Aishas, they won't affect other Aisha colors so customization fans can feel free to paint their Aishas one of the many colors that are still customizable. Well, assuming any pets are customizable after the great Flash discontinuation, although I think if they actually break all customization NCers will riot. Personally my ideal choice would be having a special option in customization for certain colors that allows for either a customizable or uncustomizable body design to let players choose for themselves which they'd rather do. @tycooncorb - moving forward isn't always a good idea though, sometimes you make mistakes and it's better to backtrack. In any event I'm glad they're giving the community a say in what happens instead of just imposing a change with no warning. @katina_choovanski - it might be the system you're using. It wasn't working for me earlier when I was trying to vote on mobile, but on PC it works fine. Actually, it would be nice if you had the option to make your pet stand on 2 feet. OPTION being the key word here. Neopets already went 8-bit. Going back seems like something Neopets would do. @Jen - What “what”? I want to be on my home world! Is neopia not YOURS as well? Or are you referring to the “Neopets-OASIS” idea? I'd be happy even if they only make Royal a customisable colour like Mutant or Baby. Oh, sorry the above announcement was made in July 2017. TBH, I hope it isn't for bringing back UCs. As said previously, we need to move forward, not backward. The old art may look nice, but it is VERY glitched and funny looking when customizing. I wasn't into NC at first, but as time went on, you can really make your pets look unique and really "YOUR OWN". People like UCs for their unique poses... but now 99.9% of players will own a UC... won't make it very much so when everyone owns the same naked posed UC pet. Defeats the purpose.. lol! But I am just saying IF that is what TNT is doing. Yup my thoughts exactly, UCs are a nice memory that should had been left behind when customizations happened, leaving UCs around was a huge mistake. Now if they do add an option to toggle arts I'll be fine with that, but if they want to revamp them, well unless they already have all the current clothing ready, I refuse to experiment what vandagyre owners had. Also like you said @mzlish owning U s means your pets will look the same, and even with trinkets and stuff, there aren't enough items that fits UCs that good. And yes a 3D neopia would be awesome, imagine it kind of like sims or ff14, but eh I'm happy with the 2D right now xD. Might just mean giving users the option to choose which one they prefer. Like it should have been from the get-go. Now as for whether it will only go as far back as that fated day of conversion (meaning all new colours are forever locked to be customizable, no new UCs) and include all special colours, who knows. But this could be a great way to reinvigorate the site, and it would put a stop to the black market for UCs. Options are important. So what if everyone has a UC Grey pet? I'm sure there are plenty of users who are fine with the converted ones. And obviously, any post-conversion pets are never going to have an UC option. The black market and the attitude of pet trading on the site is atrocious and goes against everything the site stands for. Tons of stories in NT about pounded pets, but what about pets in an endless loop of trading? Users shouldn't have to climb a ladder to get their dream pets with limited numbers or worse, black market sellers. Too bad an error comes when you also fill in the comment section. Only without a comment it worked for me. GREAT haha I have to go to work after seeing this!?!?!? I'm freaking out too much now hahaha! I'm so excited, maybe TOO excited because who knows if this will happen......... BUT STILL YAY!!!! Are we really getting an option at all? When we voted for the paintbrush last year, yes they brought out steampunk but also brought two of the others. So it really wasn't an option. Just a way to make us feel like we had an opinion. I selected 1, which is the converted one. If the change happens, I really hope they'll still be able to wear clothes because my Baby Kacheek, ShiizukaJoestar, would look so bare just wearing a diaper and a bib. My speculation is KeyQuest: for new tokens coming up, would we like the traditional four-legged/"pet" poses, or would we like bipedal, human-like tokens? I'm guessing they're going for widespread appeal, so they give no context in order to capture immediate/natural reactions. I don't get why they'd make a poll with ZERO context so that people don't even know what they are voting for. The data they get from it will be utterly meaningless. For those saying the site should move forward instead of going backwards: would you say the same thing about discontinued battledome aspects like HP increase and stances, or are you just picking on UCs because you don’t personally see any value in them? I’m also certain that not everyone would get a UC style pet if given the choice, just as not everyone wants HP increase to come back, you just assume that because bringing UCs back is such a popular suggestion. the salt is real. I think I need more water. TL R - Scrappy says it's not related to UCs. - Neopets Mobile App (if this counts as not being "the site"
Quite possible it's for new Key Quest tokens or avatars for the other app. I doubt this would be for the companion app. They should have just said that it was for offsite stuff to begin with. They should know the PC part of the fan base well enough to know that people would flip out. Yep, thought that was what it was all about. Well, R.I.P. to that dream for now. Wish they were less vague about what the poll was about. Would've saved some folks some heartbreak. Well whatever the case I voted for 2 because I think it looks better. Really annoyed about how cryptic the message for the poll and the poll itself was. I got my hopes up for nothing, but I shouldn't have in the first place. To be honest, Neopets has become just a big disappointment to me. You've got to be kidding me. They throw a poll out like that, get everyone's hopes up, and it's just for off-site garbage? As if they need a poll to determine whether people prefer poses with character instead of generic garbage? If nothing else in life, I can count on TNT being a disappointment. I understand people really want UC, but you were the ones getting your hopes up over nothing. I wouldn't call it "getting our hopes up over nothing". It was super misleading, and UCs having something to do with the poll was the most obvious guess. Don't blame it on the community if it's TNT's fault for being so vague. The community is every bit as much a part of Neopets as TNT themself. It’s TNT’s job to be vague as to not spoil future content. Even if the vagueness was misleading, they were only trying to do what they thought they should. The fandom is a reflection of the content and how it’s shaped people! Preferably for the better! That’s what I want people to say about the good, kind, and wholesome fandom that is Neopets! If you are asking for people's opinion on something, you should at least tell them what that "something" is. It's not TNT's job to be vague. And yet they still get paid. Also, the only way to make TNT do things right, is to point our their mistakes. If no one said anything, they wouldn't know they were making something wrong in the first place. Should we be worried that TNT is asking us for something outside of neopets? "Outside of the site" means outside of the url site. 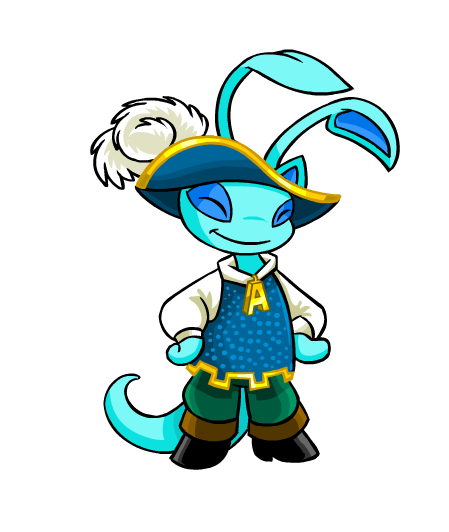 Neopets can make other Neopets stuff outside the main site. Like the "Ghoul Catchers" app. Or "The Darkest Faerie" Play Station game. I never thought this poll was about UCs (though that would be great if they were considering addressing the situation). I think it's about whether Neopians prefer quadruped or biped for customization. There are 90 comments above. Why not post yours?